$2 Hormel Natural Choice Deli Meat w/ Coupon! 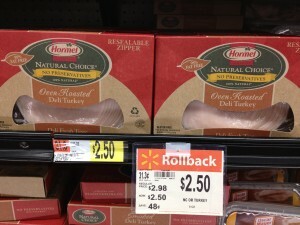 The next time you're at Walmart, make sure you check the Hormel Natural Choice Deli Meats. They should be on Rollback, and if they are you can get a good deal! Thanks for the deal and photo I Heart the Mart!